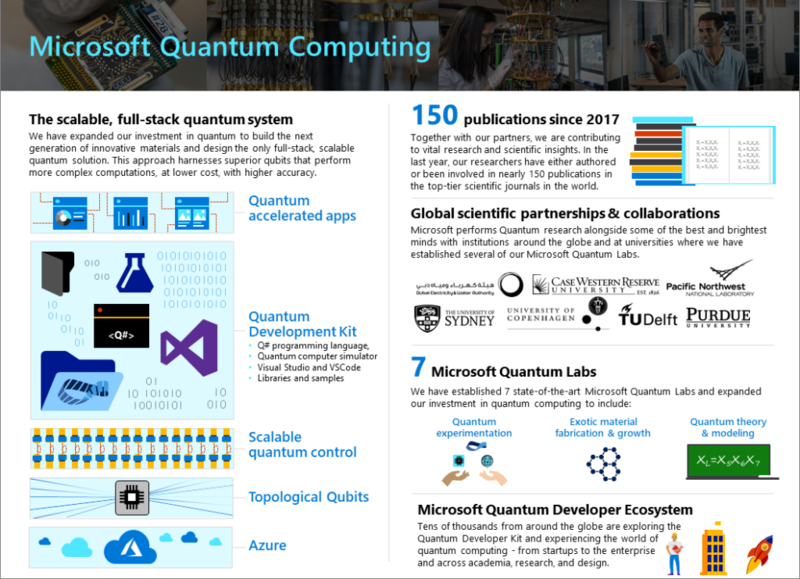 This week marks one year since Microsoft announced our bold vision of developing a scalable, full stack quantum computing solution. During that period, we have delivered against our vision and achievement, including expanding our quantum investments across the globe and making our quantum research and technology accessible to a growing community of quantum developers. “We can now solve problems that we’ve never been able to solve before. By applying these algorithms, we are now able to take a different approach to the most difficult problems in MRIs—and we believe it will have a broad impact for patients,” says Dr. Mark Griswold, professor of Radiology at CWRU. Over the past year we’ve expanded our investment in quantum computing to include a vast network of theory and modeling, fabrication, growth, device development, and robust testing capabilities across the globe. The combination of these facilities enables us to incubate the next generation of innovative materials and design new devices needed for the industry’s first enterprise-ready quantum computer. Pioneering capabilities include growing exotic materials, designing cryogenic controls, and building a hardware and software architecture and infrastructure—each critical components of our vision of the world’s first enterprise-ready quantum computer accessible in Azure for the next generation of innovators. In addition to our laboratories, we’ve established many scientific partnerships across the globe to deepen and expand our research investments in the US, Canada, Australia, Denmark, the Netherlands, Switzerland, Finland, Italy, Spain, and Austria. The partnerships augment our global coverage of the top research institutions, laboratories, and talent across the areas of physics, quantum theory, computer science, hardware, chemistry, and materials. Over the last year, we’ve released industry-leading developer support for quantum computing through the Microsoft Quantum Development Kit. The Quantum Development Kit is designed for all types of developers who are eager to learn how to program quantum computers, while not assuming expertise in quantum physics. 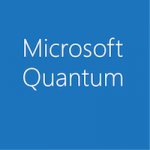 The Quantum Development Kit includes the Q# programming language, a quantum computer simulator, integration with Visual Studio and Visual Studio Code, an open source community, and a suite of documentation, tutorials, libraries, and sample algorithms. The Quantum Development Kit supports a broad and inclusive range of development platforms including Windows, Linux, and macOS and programming languages such as Python.